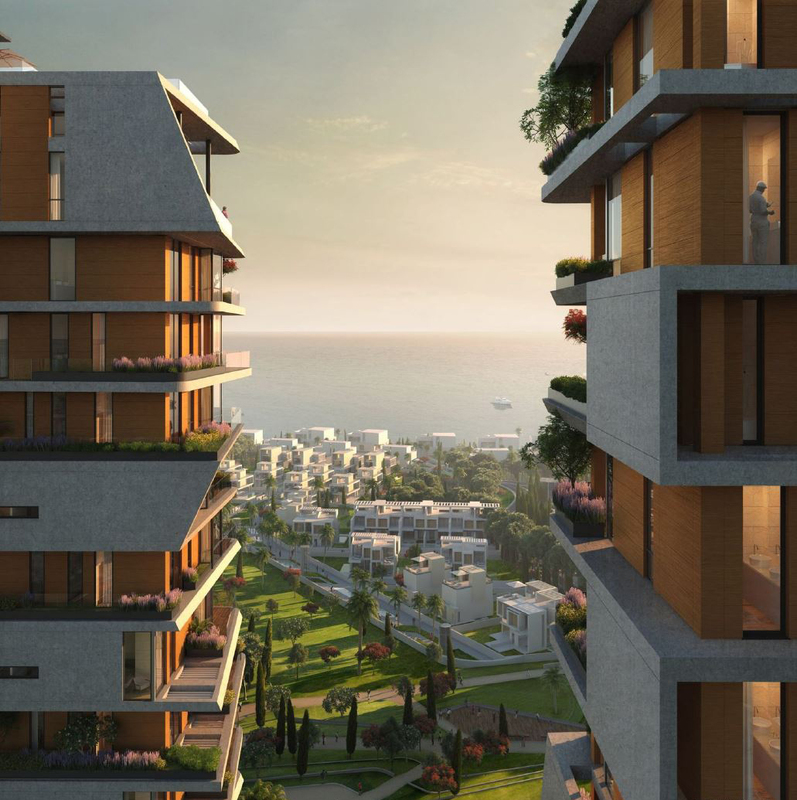 The Zaria project site in Pyrgos, Limassol proved to be challenging for a unique and landmark architectural development. 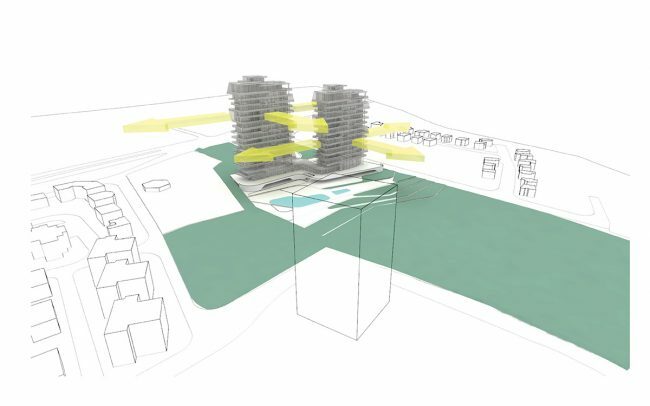 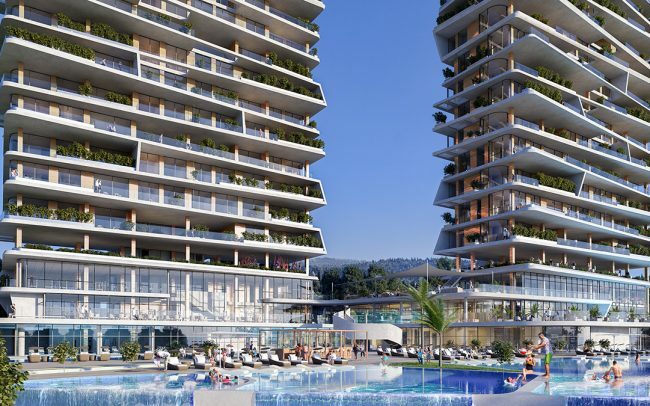 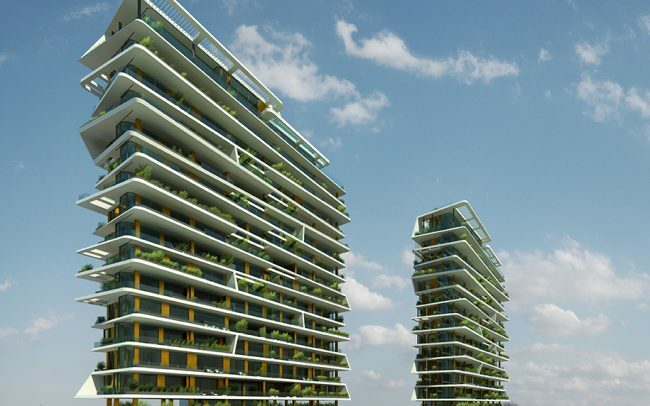 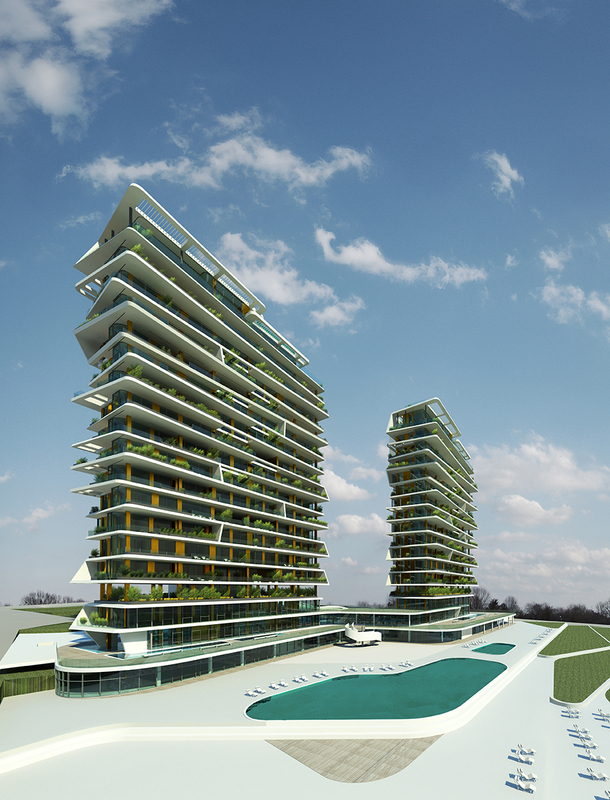 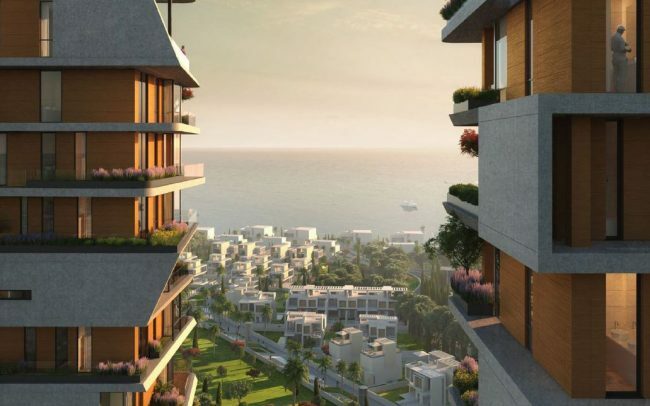 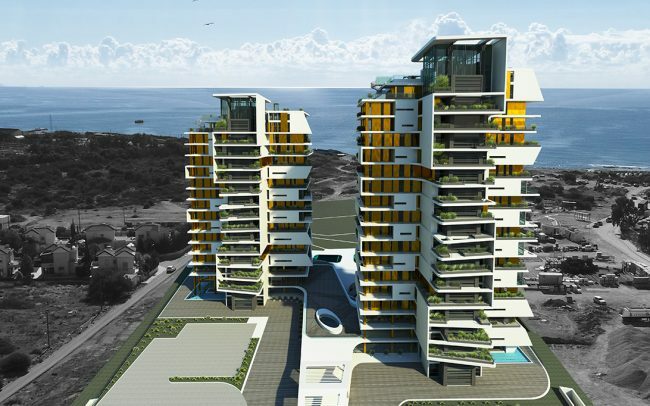 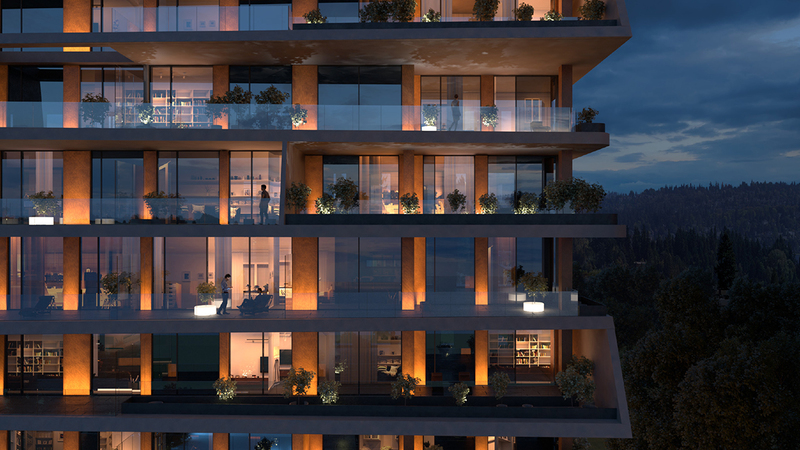 By carefully analysing available opportunities of the site, an architectural concept of two towers was envisioned for Phase 1 of the Project to direct the views and experience of the residents towards the finer panoramic views of Limassol and the sea. 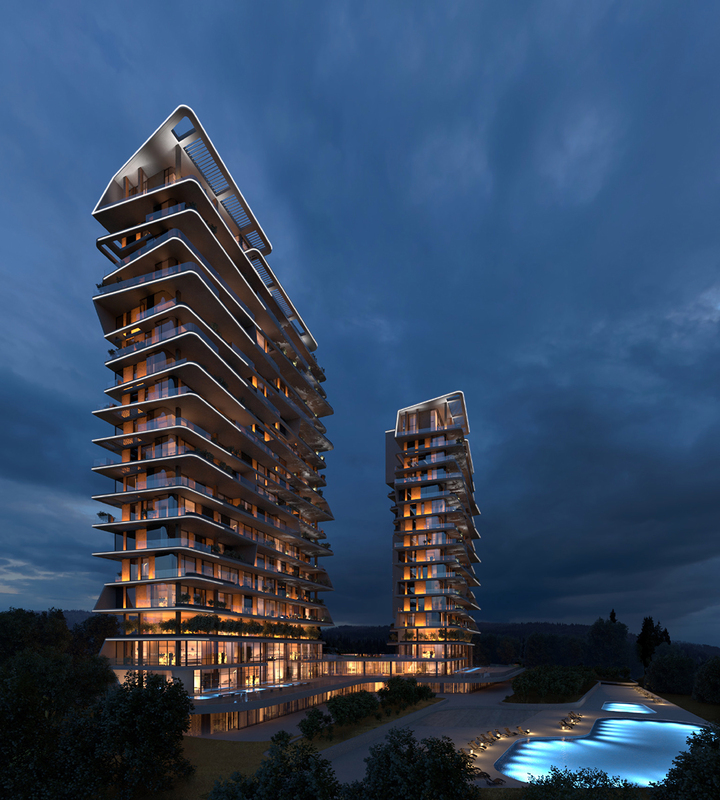 The inspiration derives from the surrounding elements, the sea, the constant motion of the waves and the sea breeze, the changing colours of the sky from sunrise to sunset, the reflections and the horizon. 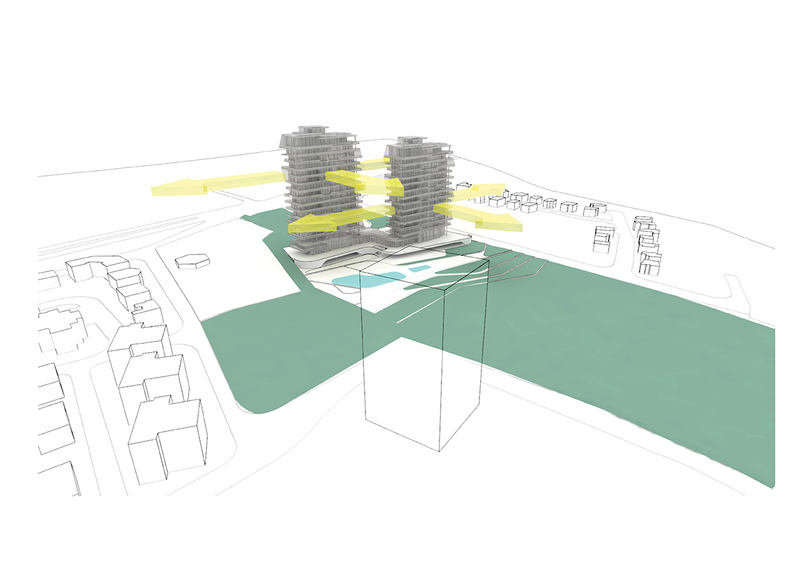 An ever changing and dynamic scenery is never still but in constant motion, colours, shadows, movement. 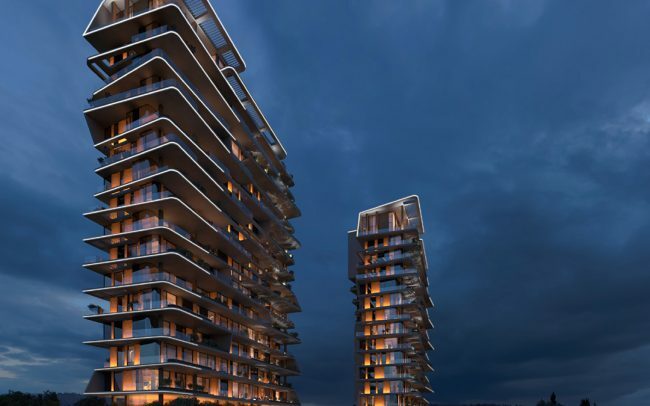 The east building rises up to 16 floors and the west building up to 18. 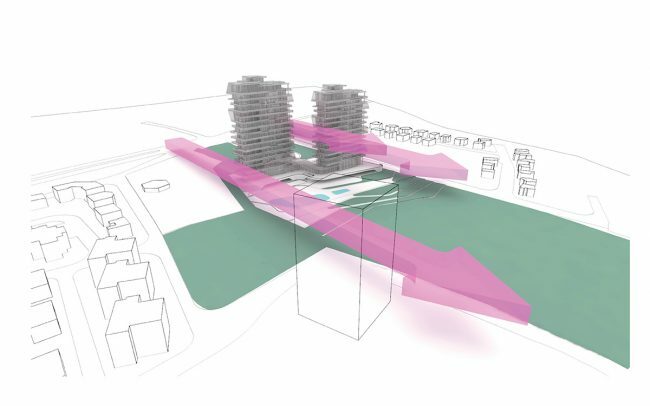 Both are designed and positioned in a manner which will mask the neighbouring power station and provide a buffer from the very noisy Highway and the old Nicosia-Limassol road. 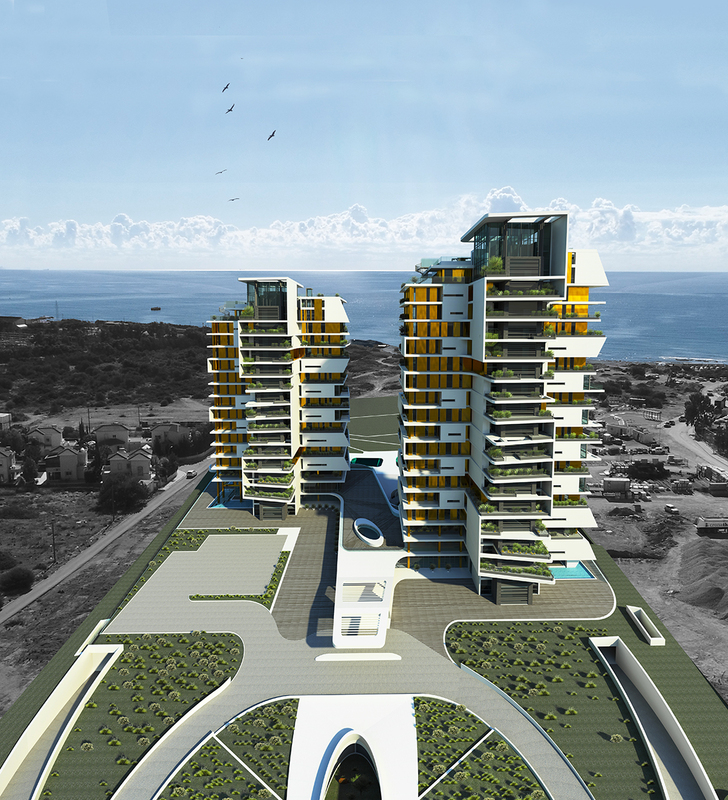 The stepped arrangement of the two buildings establishes a strong visual axis to the sea. 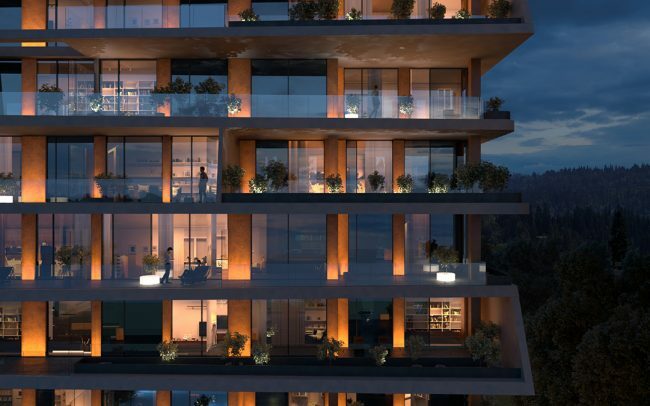 The visual impact of the two buildings is emphasised by the contrast between full glass facades and large overhanging verandas integrating planters and greenery which offer protection from the sun and provide the residents with extensive areas for al fresco living. 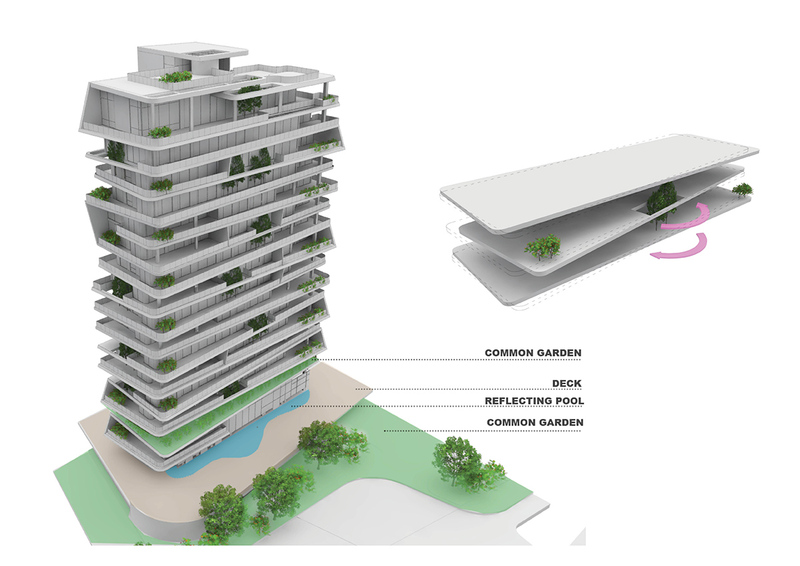 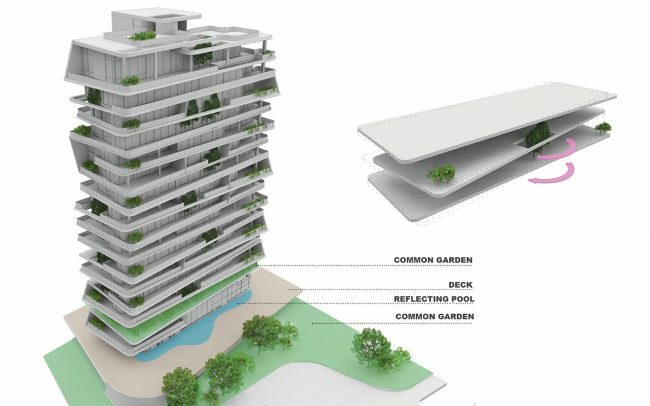 Greenery, landscape and architecture merge into a single composition and coexist in a complementary manner which will give the impression of a living ever-changing vertical architecture. 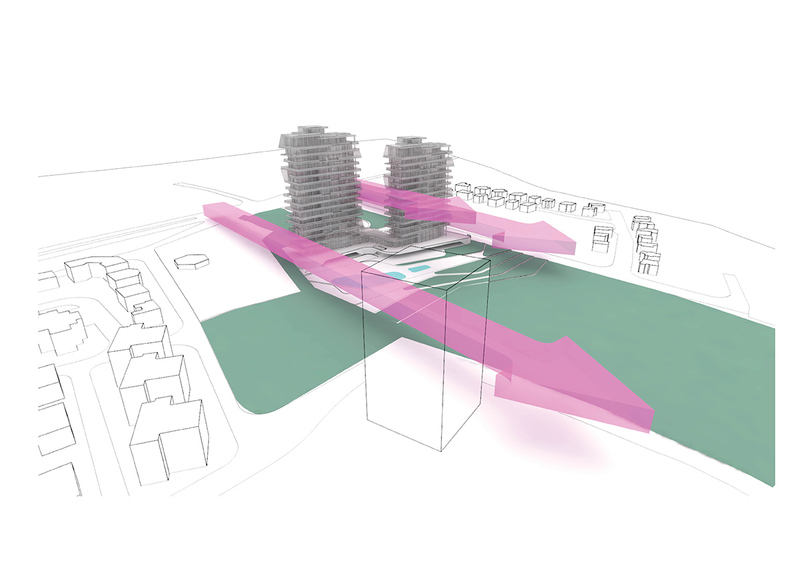 The projecting verandas are animated further by designing ‘visual movement’ relative to each other creating a dynamic façade that appears to be pulsating with motion. 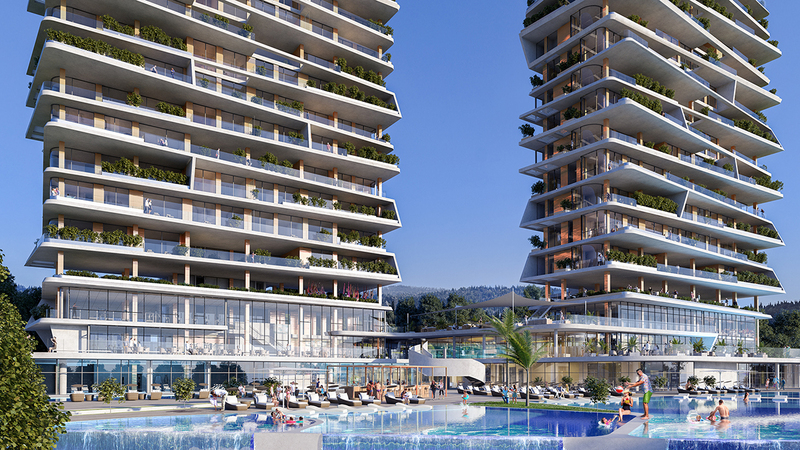 The carefully selected external materials of glass, bronze and white cladding will complement the nautical aesthetic and the proximity to the sea.